The Ackerman Institute for the Family held its 11th Annual Moving Families Forward Gala at the JW Marriot Essex House this week. This annual event raises critical funds in support of the programs and services the Institute provides for children and families in distress. 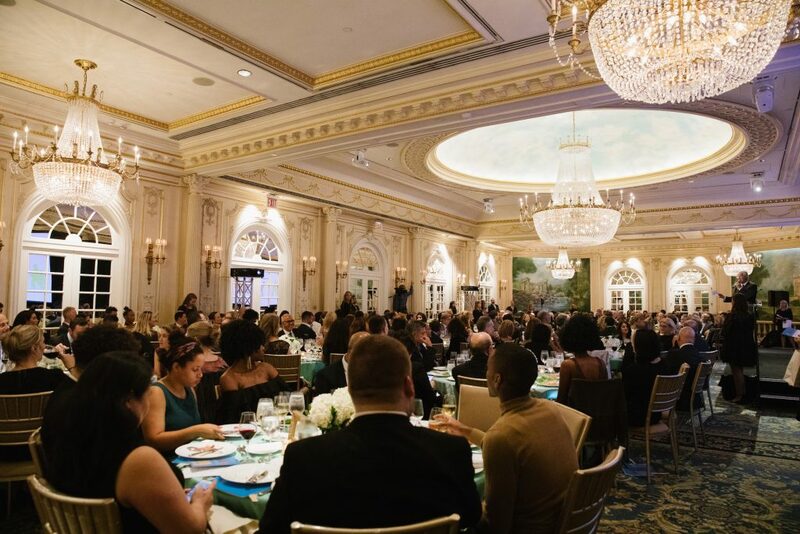 Tamsen Fadal, award-winning journalist and PIX 11 News Anchor returned to host for her fourth year, where more than 250 Ackerman supporters gathered for a special evening to advance the work of the Institute. Guests enjoyed refreshments during a live-jazz cocktail reception and had the opportunity to bid on luxury items donated by friends and supporters. 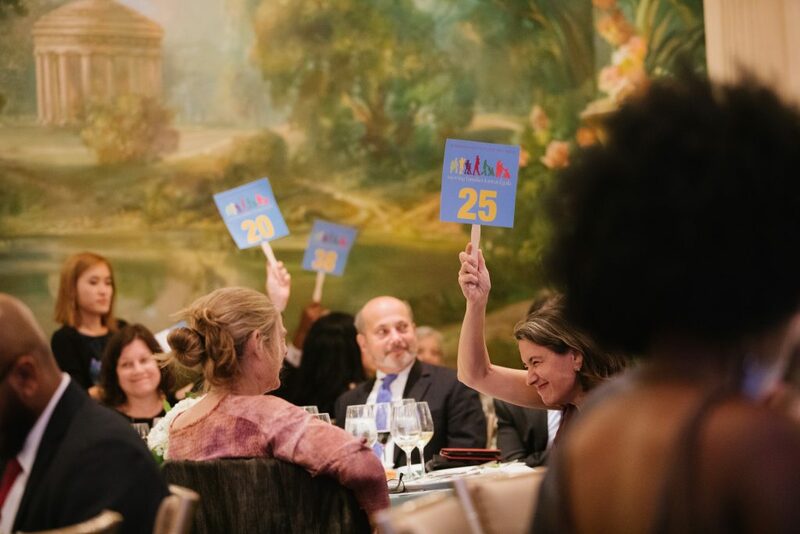 Sotheby’s Executive Vice President, Hugh Hildesley led a live auction during dinner service and encouraged guests to donate to the Institute’s worthy cause. The Ackerman Institute has a rich history of honoring exceptional individuals who exemplify the Institute’s mission to help families become healthy and resilient. 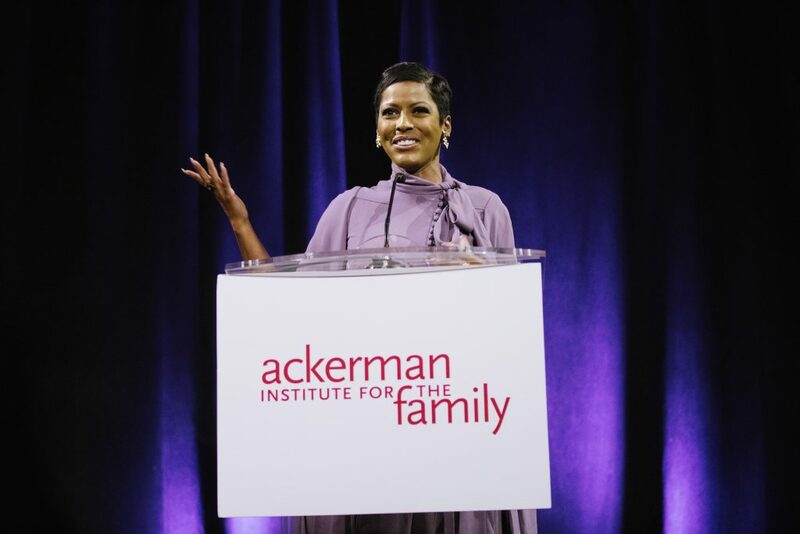 This year, the Institute recognized Award-winning journalist, Tamron Hall with the Family Advocate Award, for her tireless efforts to raise awareness for families who have a loved one experiencing abuse, and for her work helping victims affected by domestic violence. Poet, Novelist and Essayist, Luis Alberto Urrea was awarded the Moving Families Forward Award for his ability to connect his own dual-cultural life narratives to explore the greater themes of love, loss and triumph relating to family and the immigration experience. GenSpring Family Offices were awarded Ackerman’s Corporate Partner Award for the company’s unparalleled understanding of the complexities of family relationships in the context of financial management, and for helping strengthening family interactions and cohesion across generations. David J. Herritt, GenSpring Managing Director accepted the award on the company’s behalf. This event is made possible by a dynamic team of individuals who serve on the Board of Directors and who are friends of Ackerman. This year’s Co-Chairs are Deborah Werner and Greg Roger, Honorary Co-Chairs, Alice K. Netter and Martha Fling, and serving on the Gala Dinner Committee are Vicky Kahn, Gisella Lemos and Leslie Roberts. We are grateful for their hard work to make this evening possible! View more photos and links to video and press coverage below. Watch video of the honorees on our YouTube Channel.